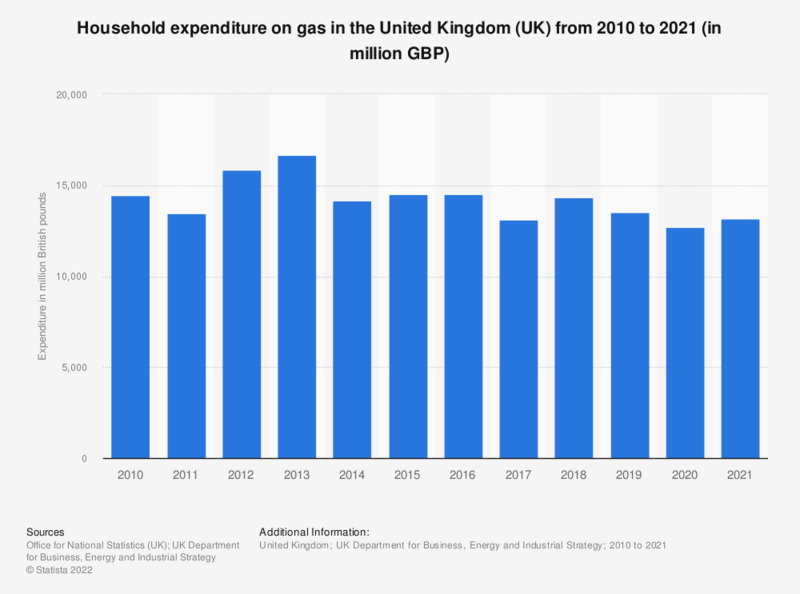 This statistic shows the total household expenditure on energy from gas in the United Kingdom (UK) from 2010 to 2017, in million British pounds. Levels of expenditure were similar in 2010 and 2015, despite increasing to 17.2 billion British pounds in 2013. These figures are based on Consumer Trends, as published by the Office for National Statistics.